As a teacher of deaf and hard of hearing students I’m constantly “visualising ideas”. By “visualising” I mean a multitude of things. For starters, there’s Sign Language, an absolutely visual mode. When something is large, when you sign you show just how big it is. And its not just your hands involved, its your facial expressions too. But that’s just one aspect of it. About half my students don’t use sign language (many have cochlear implants). Yet just talking about something (whether using speech, sign language or both) is not enough for these pupils to really and truly understand ideas and concepts I’m trying to teach. Everything is always supported by the written word. In addition I use pictures, graphs or just plain line drawings. And to make those truly “visual” in the students’ minds I need a lot of examples (as closely related to the pupils’ lives as I can). In fact, I even have reading comprehension exercises based on pictures (more about that in another post)! This need to visualize everything has become such a part of me (I’ve been teaching for more than 25 years!) that even when lecturing to hearing people I use pictures. I must admit the feedback has been very positive! As you see, I’ve even added a picture here! Your job sounds so fascinating… I can’t begin to imagine teaching like this but I can see how it would bring such an amazing dimension to your whole life once you truly began to visualise everything. Really beautiful. Thanks so much for stopping by! So glad to be in touch! Thanks so much for stopping by! I’ll check out your site first chance I get! Thanks for your suppportive comments! I have experimented with having the students answer “reading comprehension” questions about scenes from a film instead of a text and the students enjoyed it. I will certainly check you your blog! 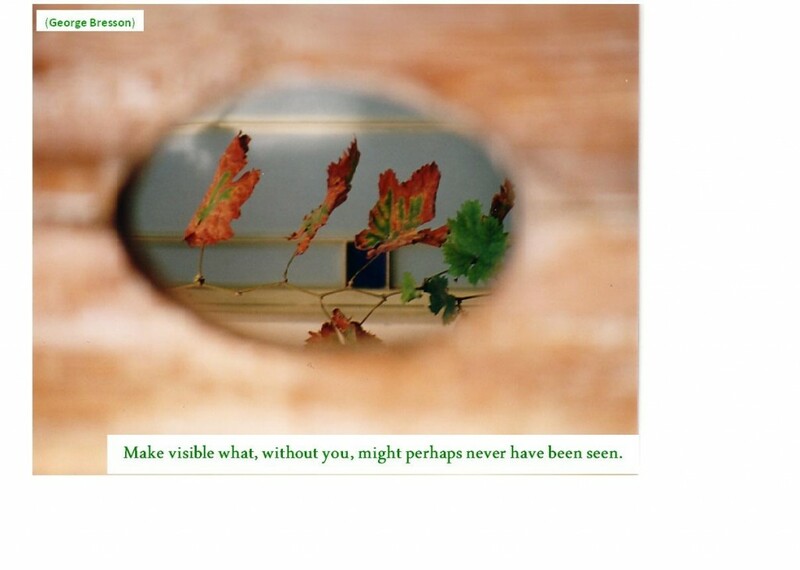 I just stopped by, intrigued by the your visualising, and I have to say that your blog is simply beautiful. I’ll definitely be coming back again. Thank you SO much – means a lot to me! I feel the same about YOUR blog – fascinating! the whole concept of making thinking visible is fascinating for me too. I’m working on a blog with a relevant theme. Some of the visual prompts might be of interest to you. I think that what you do with your students is great. Inventive, resourceful, inspiring, out of the box. Thank you Chyrsa! Your blog has lovely visual ideas on it too! Good Evening, Naomi, I love your blog, it’s incredibly informative!! Thank you for your powerful work! My name is Armen. I’m an English teacher/ Fulbright Scholar in Brazil. I’m working primarily in teaching English to Portuguese speakers in a University. There’s an undergraduate program starting this week for LIBRAS (Brazilian Sign Language), and there will be an influx of 40 deaf/hard of hearing students at my University studying in sign language to become teachers/ translators. I’d like to see how the lessons I’m doing can be catered for deaf students who know how to read and write in Portuguese, but haven’t taken any English courses yet? Is it possible to teach them pronunciation? Or will the main goal be to show various images and words, and have students practice writing/reading skills amongst each other. As deaf students in Brazil, they’re very interested in learning more about the experience of deaf people in the U.S. So learning how to write in English would be a primary need for them, before speaking in my mind, would you agree? What advice might you have for a teacher such as myself, who is interested in teaching and creating a course that is geared towards teaching English as a Foreign Language to students who are deaf? I’m in the process of learning LIBRAS now, and would like to support all of my students to learn English, regardless of any disabilities, that aren’t a reflection of their authentic intelligence! Thanks for your wonderfully intruiging blog! I’m sharing mine as well, to get any of you feedback about how to tailor any of my activities if possible???! Thank you for your kind words Armen!